SEOUL, South Korea — A North Korean envoy making an uncommon visit to South Korea said Sunday that his country was willing to open talks with the United States, a rare step toward diplomacy between enemies after a year of North Korean missile and nuclear tests and direct threats of war from both Pyongyang and Washington. Kim Yong Chol said developments in relations between the two Koreas and between North Korea and the United States should go hand in hand, a spokesperson for Moon said in a statement. Moon, who was invited during the opening ceremonies to Pyongyang for a summit with Kim Jong Un, also said that Washington and Pyongyang should quickly meet to "fundamentally solve" the standoff on the Korean Peninsula. 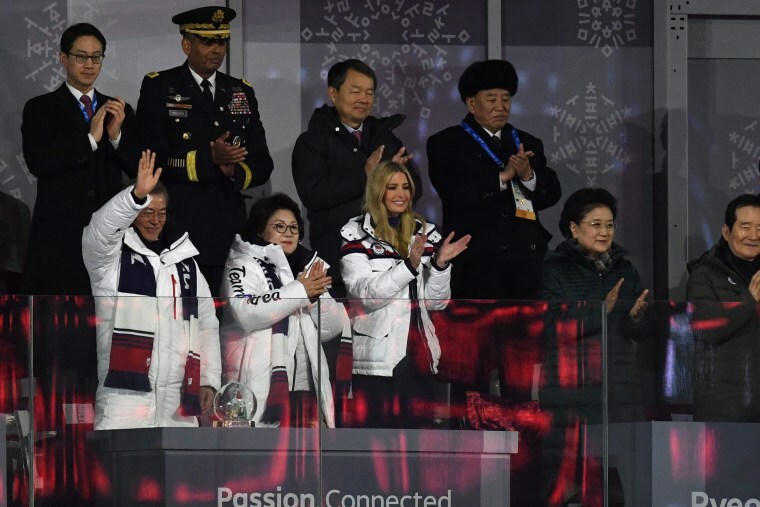 Kim later sat in the VIP box at Olympic Stadium in Pyeongchang for the Olympic closing ceremonies, just feet away from President Donald Trump's daughter, Ivanka, and the top U.S. military commander on the peninsula, Gen. Vincent Brooks. The former anti-Seoul military intelligence chief watched K-pop divas and fireworks and stood for the South Korean national anthem. Trump said Friday that the U.S. had leveled its "heaviest sanctions ever" against Pyongyang, targeting the regime's shipping and trading abilities. In a statement earlier Sunday North Korea condmkened the sanctions and accused the U.S. of trying to undermine an improvement in inter-Korean relations during the Winter Olympics, state media said in a statement. "The two Koreas have cooperated together and the Olympics was held successfully," the North's state media said in a statement. "But the U.S. brought the threat of war to the Korean peninsula with large-scale new sanctions." In his prepared remarks to CPAC, Trump noted that the sanctions targeting 56 total shipping companies, businesses and shipping vessels will "further cut off sources of revenue and fuel that the regime uses to fund its nuclear program and sustain its military." One day earlier, Vice President Mike Pence used his platform at the annual conservative gathering to remind attendees that the United States "doesn't stand with murderous dictatorships, we stand up to murderous dictatorships." Pence's comments came after his trip to the Olympic opening ceremonies earlier this month, where he sat during the playing of the North Korean national anthem.